No I did it Everyone and there mothers was pming me you can't make a pistol over 500 fps. They could not understand that is was a rifle. with a pistol grip and 100% legal . and I have my Rpal Even if it was a pistol I'm still legal. so I took pic's off line because most forums you can't edit your post after you have posted it a few hours. so only way to stop it was to delete pics. Well, the determination of it being a pistol vs. a rifle would be something for the CFC to decide. 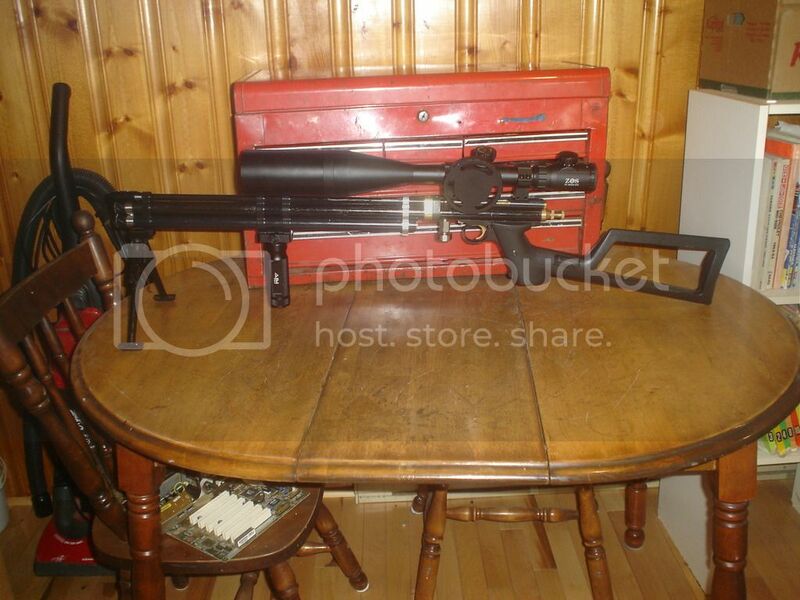 If your tube is from a known 'rifle'- i.e. 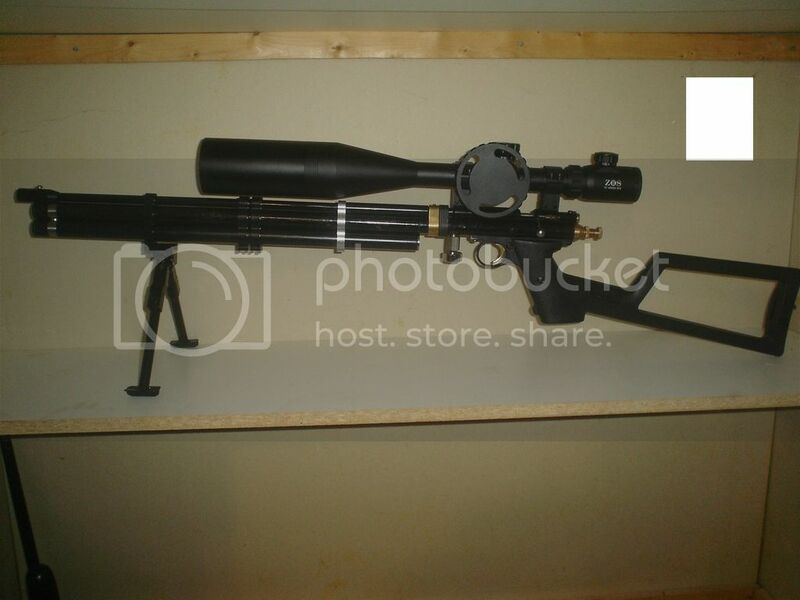 a Crosman 2260 or Discovery (the tube is what they CFC has used as the 'receiver' for classifying things in the past as it has the serial number on it)- then it should, by default, be classified as a rifle. The problem is that if it is classified a Restricted firearm, then it must also be registered- so if nothing else, double-check things so no one gets into trouble. In any event, it looks good. What is joining the two tubes together (i.e for gas flow)? a passtrou bolt with orings, a bolt with a hole in the center like a hydraulic one. it's a Discovery tube, I even had it registered in the days of Long Gun Registry. I bought one of the first kits, The black Barrel bands I just bought recently, they have a weaver hookup on the bottom. 90% done cheek rest and eye rubber are still needed. and tuning and practice.